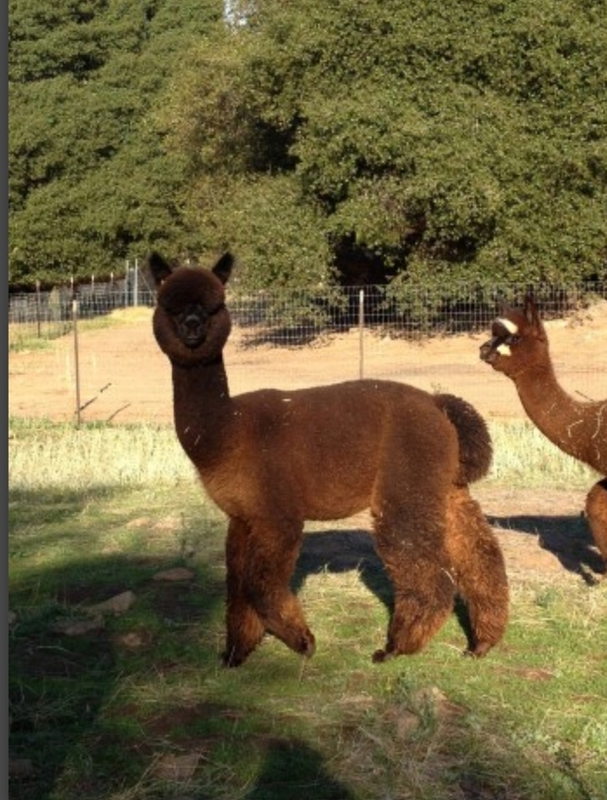 5x Champ, Fawn Recessive black = Black cria! Sunny has been very effective as a herdsire in our breeding program. 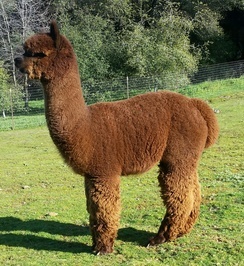 He has brought the fleece characteristics one would expect in a light fawn multi champion and he has consistantly put those charactistics into clors from fawn through black...producing banners in his offspring. 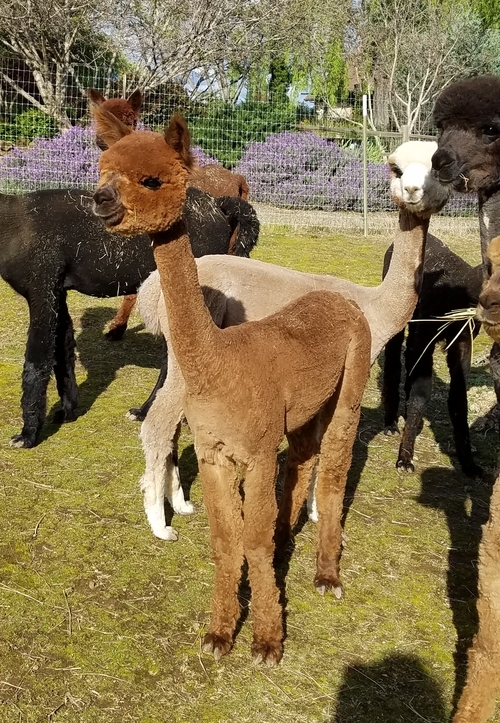 Sure he can produce at least 505 black when bred to black (he has exceeded that), but look at the fiber analytics on our webpage, in both micron and density...especially in black. Neytiri brings a fusion of Avatar and Guns n Roses lines. She is beautifully proportioned and conformed...and you have to see and feel her fleece to appreciate what she brings to the next generation. 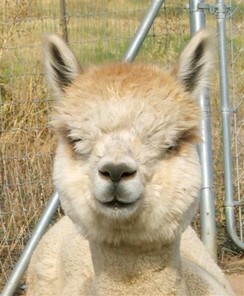 We came to expect this high definition, very bright, long fleece from all 40 of our Guns n Roses offspring. 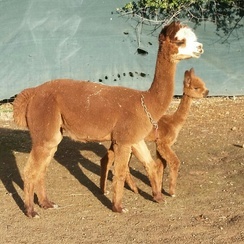 Her maiden birth produced RR Teodora, as promising a cria as we've seen. 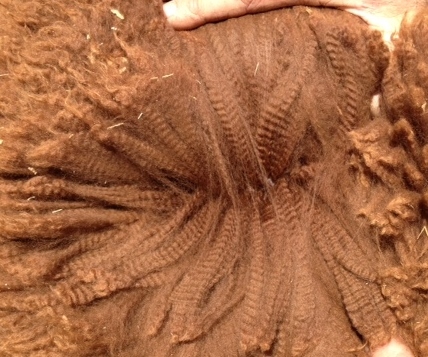 Teodora is a rich, chocolate Bay Black with black points. 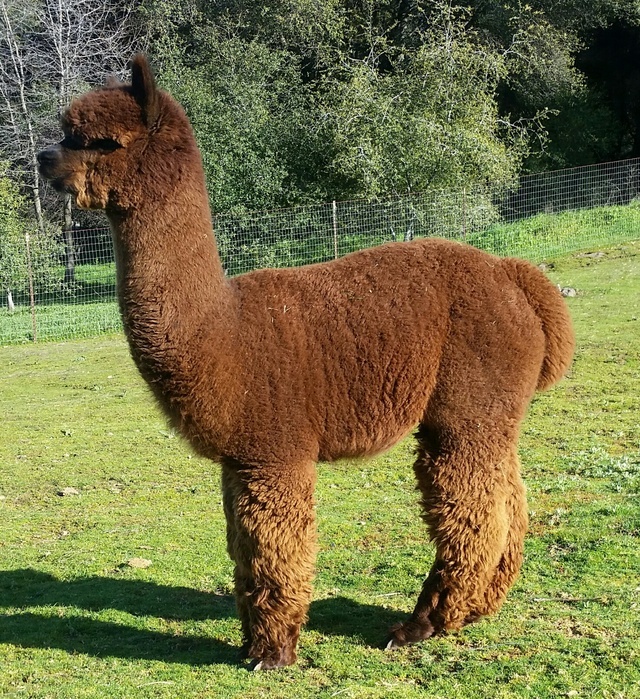 Theodora is a stunning female with superdense chocolate brown fleece that you can't take your hands out of. She is very "typey" with excellent coverage, on a sturdy, but compact, well-proportioned frame. 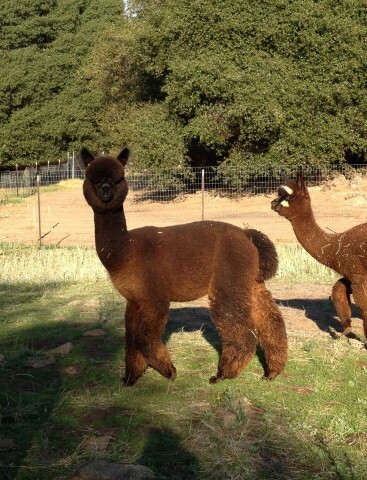 She is out of one of our Guns n Roses daughters, Rose Neytiri, who is Avatar lines on mom's side. Dad is our own Snowmass Midnight Sun who has left his mark across our program with both his excellence in color fiber and strong conformation. Though she made Frida Kahlo, a brown Champion with Arturo, we chose Touchstone for 2019. 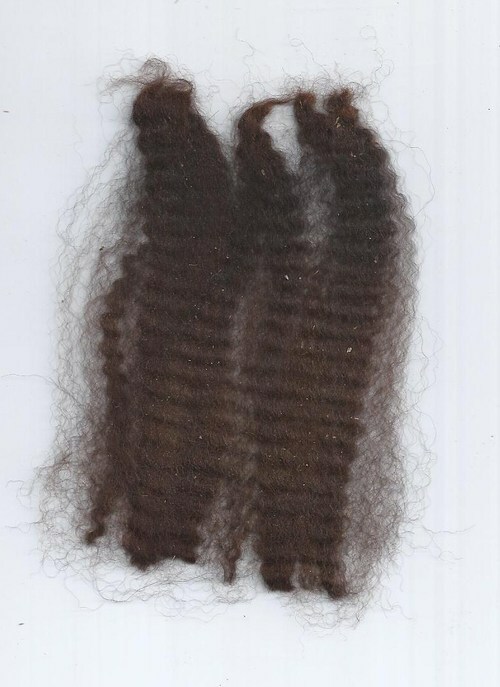 From our experience with the pedigrees, top and bottom, and although we would be happy with a healthy brown, we think that there is an excellent chance for black or roan. We have wondered if Teodora is a cryptic roan. She has mixed black and brown fibers and at least is a very likey candidate as a black/ brown heterozygote and her pedigree supports that. Her color chromosomes are being analyzed...fingers crossed.